A £15,000 grant has been awarded to the inventor of a smart walking stick, which is designed to prevent freezing of gait – a common symptom for people with Parkinson’s disease – and enable its user to walk normally. When the intelligent device detects a pause in motion, it sends rhythmic vibrations to the handle, helping the user regain their natural walking motion. 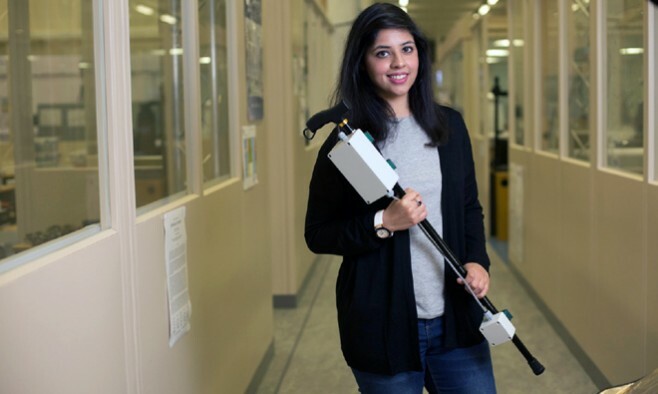 Product design technology graduate, Neha Shahid Chaudhry, of the University of the West of England (UWE Bristol), was inspired to invent a mobility aid after witnessing her late grandfather struggle with freezing of gait and subsequent falls, caused by his Parkinson’s. Neha founded her own start-up company, ‘Walk to Beat’, to support the development of the product, which is based at the technology incubator at the Bristol Robotics Laboratory. There she worked on the sensors for the walking stick and produced a final prototype device at the Robotics Innovation Facility. The device is purposely designed to look like a conventional walking stick and its vibrations can only be felt and not heard, to ensure that it doesn’t draw attention to the user and cause them to be embarrassed about their condition. “I spent three to four months doing research, talking to patients, going to care homes and attending Parkinson’s UK drop-in sessions. More than the disease itself, a big problem is its impact on social lives. Some other products for people with Parkinson’s have a stigma attached to them – they look like products for disabled people,” Neha continued. 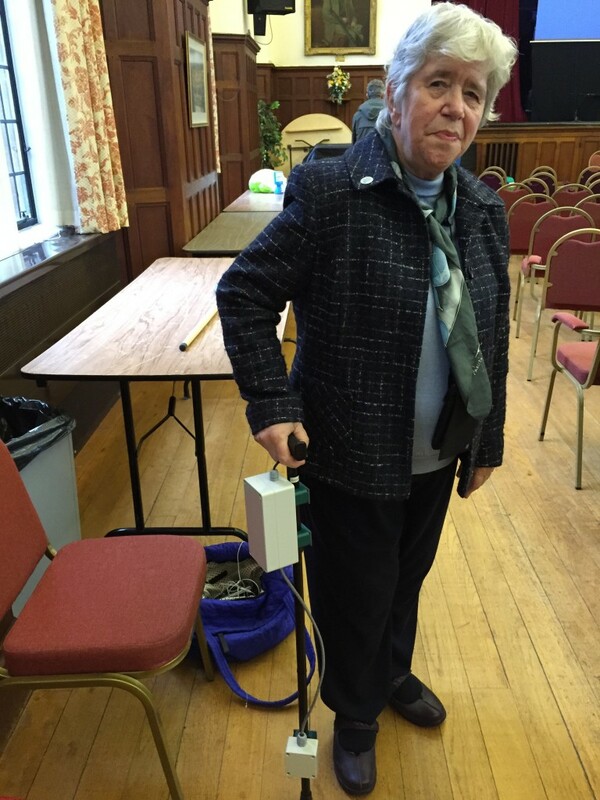 The technology has already been successfully tested among dozens of Parkinson’s patients, and the NHS and charity Parkinson’s UK have expressed an interest in the walking stick.